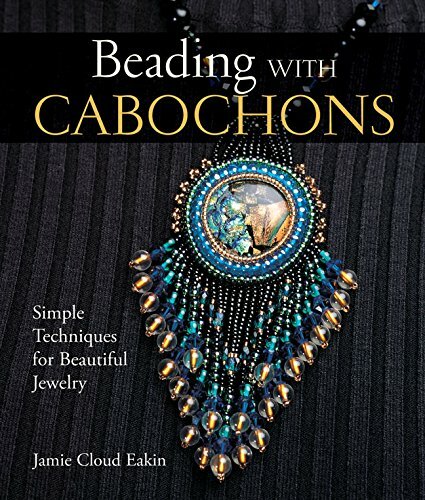 With this gloriously photographed and illustrated manual at hand, beaders can create awe-inspiring jewelry. It's the only current, comprehensive guide to working with cabochons--a flat piece of rock or mineral--and it covers all the basics, along with a range of new creative techniques and hot trends. Find out which tools and materials to use, which beads work best, and how to wrap them round the stones. Craft turned, pointed, twisted, brick stitch, ruffled, or scalloped edges, or add decorative fringe. For something dramatic, combine more than one cabochon in a single piece. Or, instead of natural stone, use dichroic glass or other found objects. Make a glittering brooch, funky bracelets, a wearable art necklace, and other showstoppers.